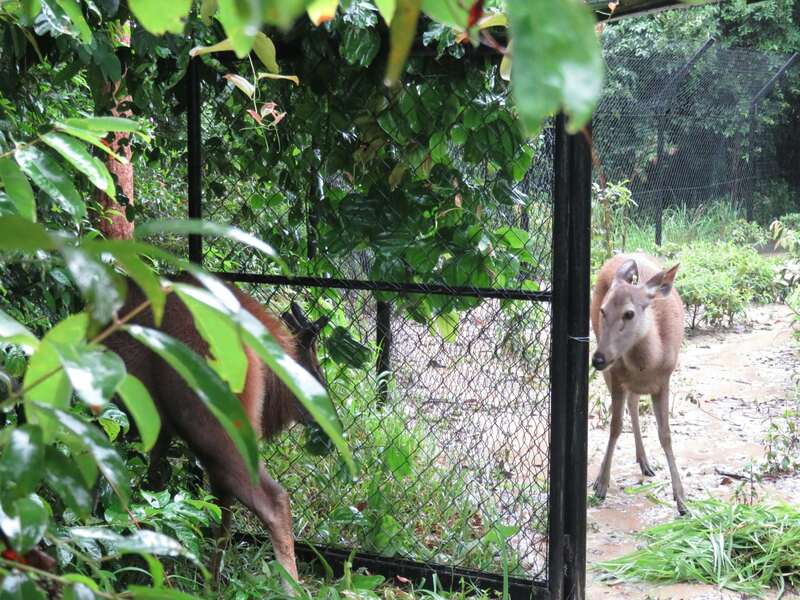 A small herd of sambar deer made up of a male and two females were released into the Cardamom Rainforest. 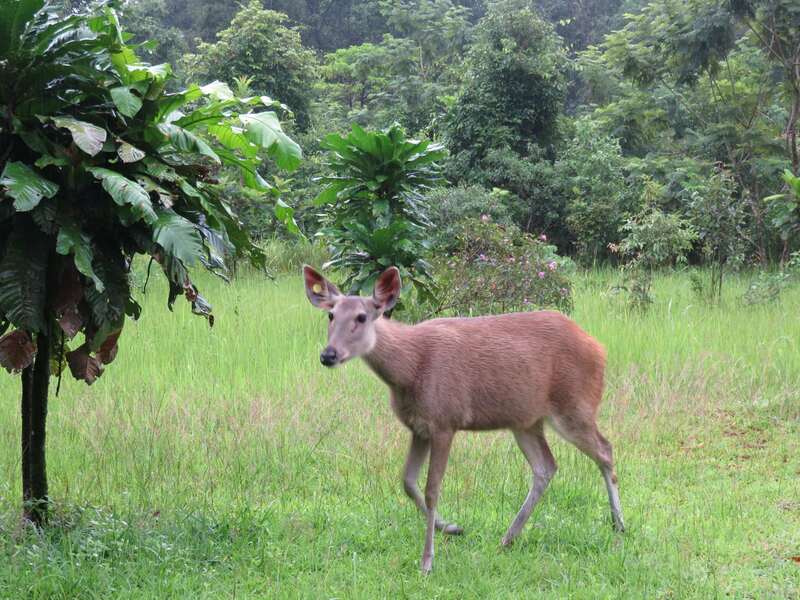 Each of the three deer came to the Wildlife Release Station (WRS) from different backgrounds but were rehabilitated and released together. 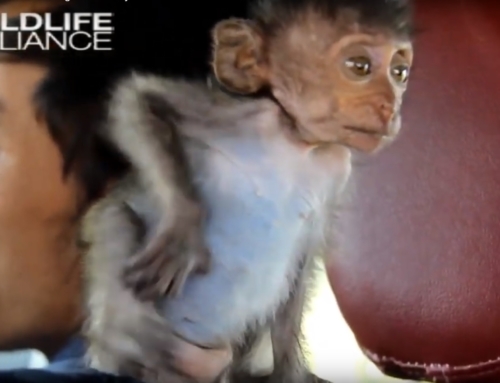 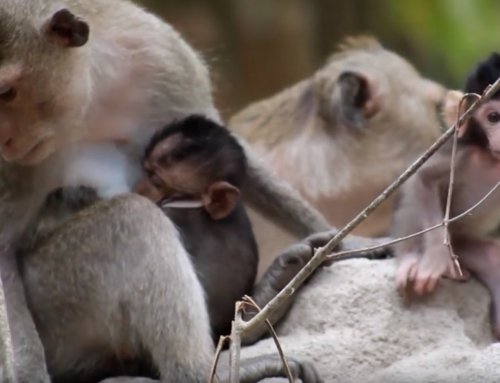 The male was found as a fawn with a broken leg in the Phnom Tamao forest after a village dog attacked him and separated him from his mother. 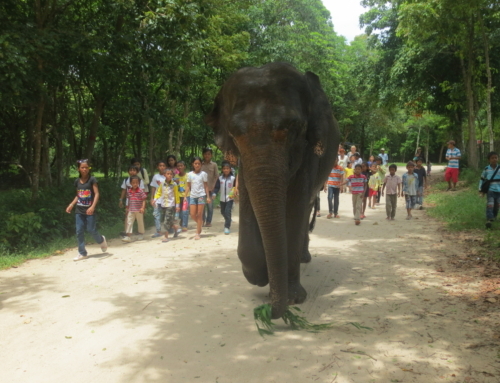 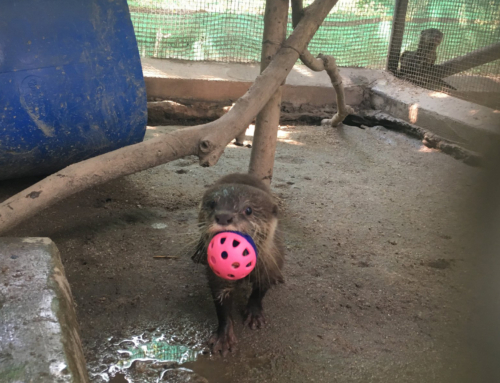 He was raised in Phnom Tamao’s nursery before coming to the Station, accompanied by a female born at Phnom Tamao Wildlife Rescue Center as part of a captive-breeding program for sambar deer. 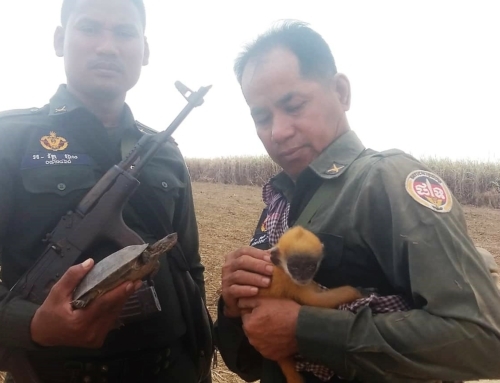 A second female was later confiscated by the Wildlife Rapid Rescue Team (WRRT) from a patrol station in Pursat province. 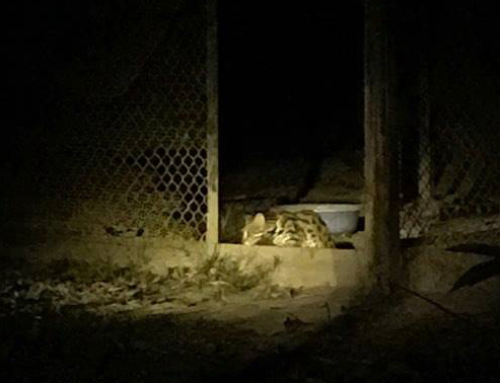 The three were given time in an enclosure at the release station to acclimatize to the new environment and each other. 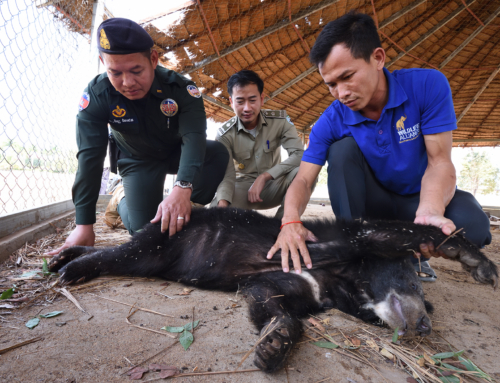 They were fitted with trackers, secured on ear tags for cattle with glue and wire, as collars carry associate risks for animals moving through dense foliage. 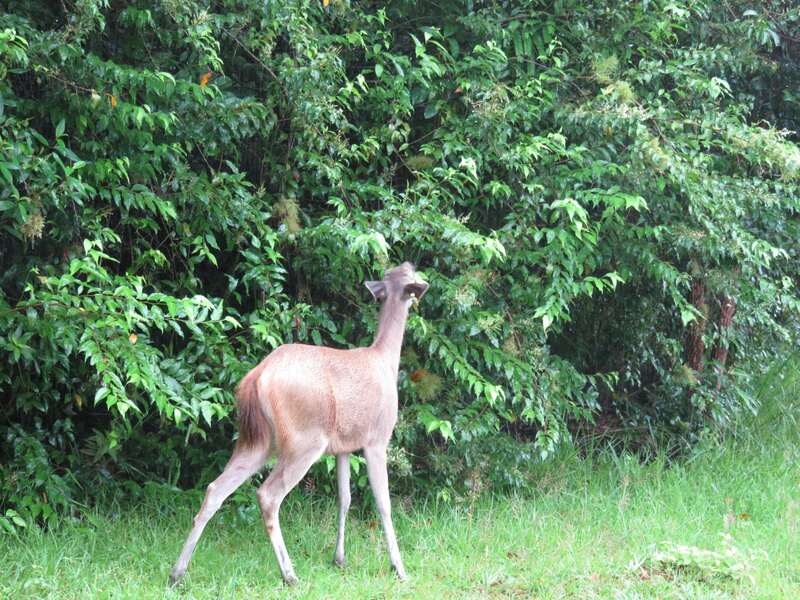 In the first few days after their release, our staff provided supplementary food, however, the sambar were much more interested in the wild leaves and grasses around the forest than the grass we provided. 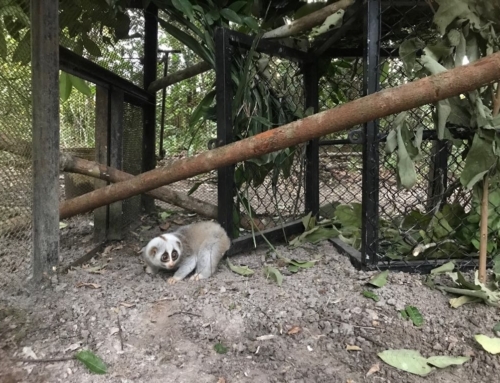 The trio stayed close to the camp for a few days but have slowly ventured deeper into the jungle and to new grassland clearings. 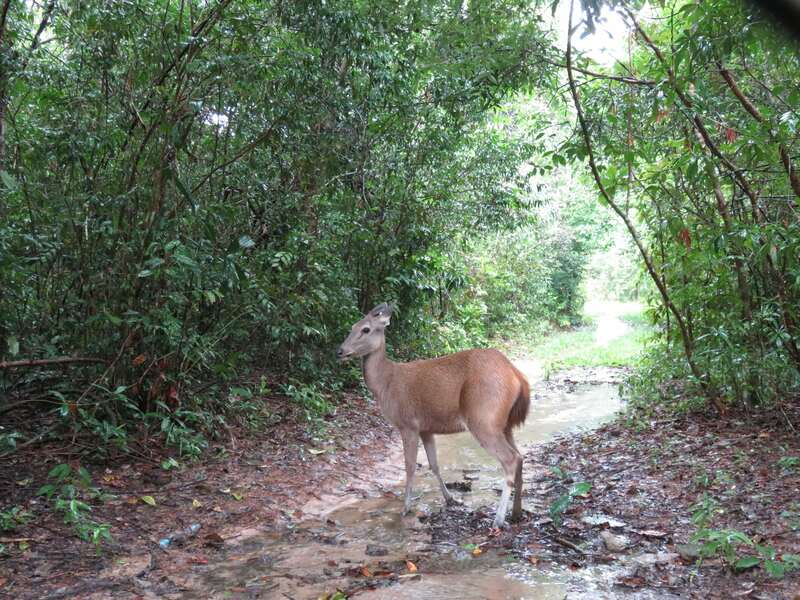 The staff at the WRS will monitor the deer’s progress in the forest by tracking the herd every day to ensure that they are adapting to their new life in the wild. 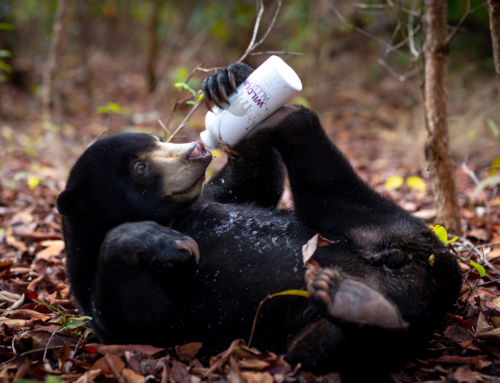 We are hopeful this will be the start of many future sambar releases to help re-establish a prey base in the surrounding forest, enabling us to someday return large carnivores to the Cardamom Rainforest Landscape.